The last few days have been heated with discussion over a new Pokémon leak. Now that mysterious little critter has been officially announced! Meet Meltan. Announced in a video earlier today, Professor Willow discusses a confusing finding with Professor Oak. He claims that the local Ditto have been transforming into a new form, which Oak claims is the resemblance of an ancient Pokémon known as Meltan. Since Willow states that more research is needed, we can guess that it’ll relate to Pokémon GO’s research tasks in the near future. Meltan has also appeared on the Pokémon Let’s GO website, citing the following. This all began with sightings and leaks pertaining to the Pokémon’s model in the Pokémon GO app. This discovery may have been what prompted the Pokémon’s formal reveal. It might have also been an intentional “leak” used to build hype before announcing it properly. 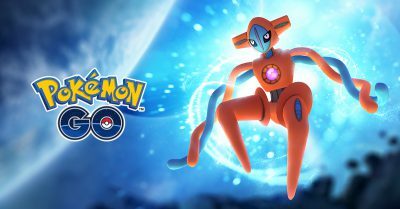 Deoxys is Coming to Pokémon GO EX Raids! The world isn't the only place where Pokémon can hide. Out there among the star.. Recent reports are showing that certain Huawei users are being given Pokémon GO..